Bill and Imogene had been visiting family in Everett, Wash. 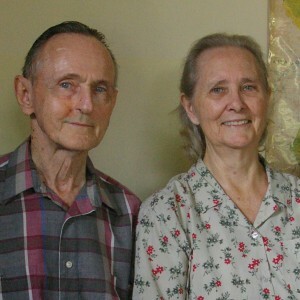 They were in the process of retiring after more than 59 years of ministry in Brazil. Lois said, “He spoke at our church here on Sunday morning, (his talk was titled “Missions, part 2” and can be heard on our website everettbiblechurch.org). He was so short of breath when he finished preaching that I took him to the ER.” He had pneumonia which complicated a long standing heart condition. Learn more about “Amazon Bill’s” legacy in this story first published in FGBC World in May 2007.
temos muito á agradecer a DEUS,pelo bom guia que ele nos deu, e assim temos como um bom modelo de FÉ. para seguirmos. como diz em Hebreus 13:07 Lembra-vos dos vossos guias, os quais vos pregaram a palavra de DEUS; e, considerando atentamente o fim da sua vida, imitai a FÉ que tiveram. obrigado meu DEUS!